Someone Else Was Driving My Car and Got Into an Accident – Now What? Massachusetts Auto InsuranceComments Off on Someone Else Was Driving My Car and Got Into an Accident – Now What? You thought you’d be nice and let your friend use your vehicle to move furniture, buy groceries, or just pick up their grandma from the airport. Right when you expect them to return with your car, you get the call. Who’s Insurance Covers the Accident? Many people believe that if their friend got into the accident, their friend’s insurance is the one who’ll cover the claim. Unfortunately, it doesn’t usually work that way. Auto insurance typically follows the vehicle, not the driver. You’ll need to file a claim with your insurance company, pay the deductible, and, potentially, deal with higher premiums for your insurance. When your friend gets into an accident in your vehicle, your insurance will be considered the primary coverage while your friend’s insurance, assuming they have any, will be secondary. In most cases this means that the driver will be responsible for personal liability and medical expenses. If your friend is uninsured or doesn’t have enough insurance to cover their part, you’ll be responsible for the cost. What If You Didn’t Give Permission? 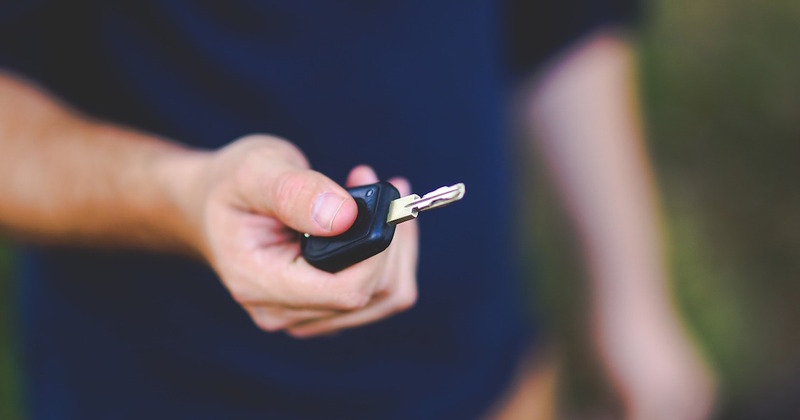 There are situations where your vehicle was used without your authorization and an accident occurs. Insurance handles this differently. Below are some common scenarios – but make sure that you talk to your insurance agent to discuss the specifics of your Massachusetts auto insurance policy. If the person driving was someone known to you and simply didn’t have permission, their insurance will be the primary and yours will become the secondary. Typically this means you’ll only pay for what their insurance can’t or won’t cover. If your vehicle was reported stolen and involved in an accident, you won’t be liable for any of the damages. You’ll probably need to file a claim with your insurance company for any damage to your vehicle, but you won’t have to worry about the rest. If the person driving your car is a family member and lives at home with you, they are automatically covered under your insurance. The question of primary and secondary insurance isn’t a concern in these cases. Ultimately, the thing to remember is to be very careful lending your vehicle to anyone else. If both of you have plenty of insurance, and they’re known for being a careful driver, you’ll probably be fine. If not, be prepared to pay a high price.